Archbishop Gomez: "Today’s ‘Greater Glory’: We Need to Ask for the Strength to Be Cristeros"
Thanks to the Health and Human Services mandate, the question of religious liberty is now of major importance for Catholics in the United States. Previous generations of Catholics were certainly persecuted, and, yes, anti-Catholicism is the last acceptable prejudice in the public square. 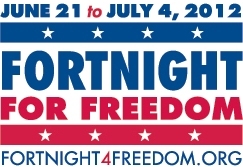 The Diocese of Dallas is joining dioceses nationwide in scheduling events during the "Fortnight for Freedom," a 14-day period of prayer, education and action in support of religious freedom, from June 21-July 4. For more information on events and resources, visit dallascatholicadvocacy.org. The June 19 deadline for sending a message regarding the Department of Health and Human Services (HHS) mandate is fast-approaching. If you have not already done so, please click here to send messages to the Department of Health and Human Services (HHS) and Congress, urging them to stand up for religious liberty and conscience rights. YFL is offering 2 Boot Camps this year for high school students age 14-17: Session 1, June 29-July 1 and Session 2, July 27-31. The theme for both camps is Should We Boldly Go Where No Man Has Gone Before? with keynote speaker Rev. Tadeusz Pacholczyk, Ph.D. of the National Catholic Bioethics Center. 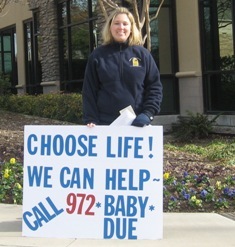 More info and registration available at prolifedallas.org/bootcamp. Father Tad Talks: "Making Sense out of Bioethics"
This year's keynote speaker for Pro-Life Boot Camp is Rev. Tadeusz Pacholczyk, Ph.D. (Fr. Tad), Director of Education at The National Catholic Bioethics Center. Fr. Tad will be presenting two talks during each session which are open to the public for only $10/session! Seating is limited; click here to reserve your spot today. Time: 3:30 p.m. & 6:30 p.m.
Every year, the Convert-to-Life /Sidewalk Counseling Ministry of the Catholic Pro-Life Committee offers several paid summer internships for older high school and college students interested in sidewalk counseling. Dozens of men and women have gone through our summer internship program and gone on to teach others how to sidewalk counsel. One of our former summer interns went on to train more than 600 students at the college he was attending. Another summer intern helped create a sidewalk counseling training manual for 40 Days for Life and is now a campaign strategist with the national 40 Days for Life team! The Subcommittee on the Constitution of the U.S. House Judiciary Committee recently held a hearing on legislation that would ban abortions in the District of Columbia after 20 weeks fetal gestation, based on the ability of the fetus to experience pain at that point and beyond. 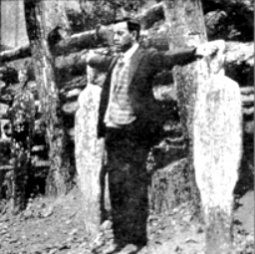 The anti-Catholic persecutions in Mexico in the 1920s and 1930s are long forgotten, it seems. The reality is hard to believe. Just a generation ago, not far from our borders, thousands of men, women and even children were imprisoned, exiled, tortured and murdered — all for the “crime” of believing in Jesus Christ and wanting to live by their faith in him.